These blooms come in lots of jewel tones, but it’s the white ones with black centers that are becoming a top bouquet choice. With vintage being such a major trend, these blossoms evoke old-Hollywood glamour like no other. Whether you want a rustic vibe or just an earthy feel, branches are the answer. Curly willow can be manipulated into a collar for or bridal bouquet or sturdy manzanita branches used (as shown here) as centerpieces. Craspedia is amazing because it’s just as beautiful dried as it is fresh. You don’t have to worry about them wilting or the petals getting damaged (because they don’t have any, of course), and they don’t need water. These mod members of the daisy family are also called billy balls or billy buttons. Thanks to their round shape and the fact that even guys don’t feel too girlie wearing them, craspedia make great boutonniere blooms. They also look rad packed tightly in a bouquet or a pomander. This is NOT your grandma’s carnation. The “IT” flower this year is the “Green Trick” Dianthus. 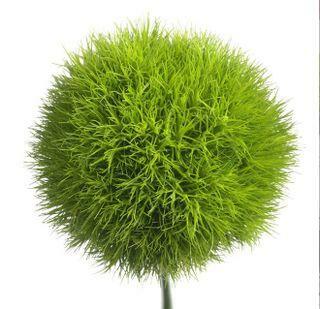 All your guests will be gabbing over this unique green sphere that is sturdy enough to last through the heat. 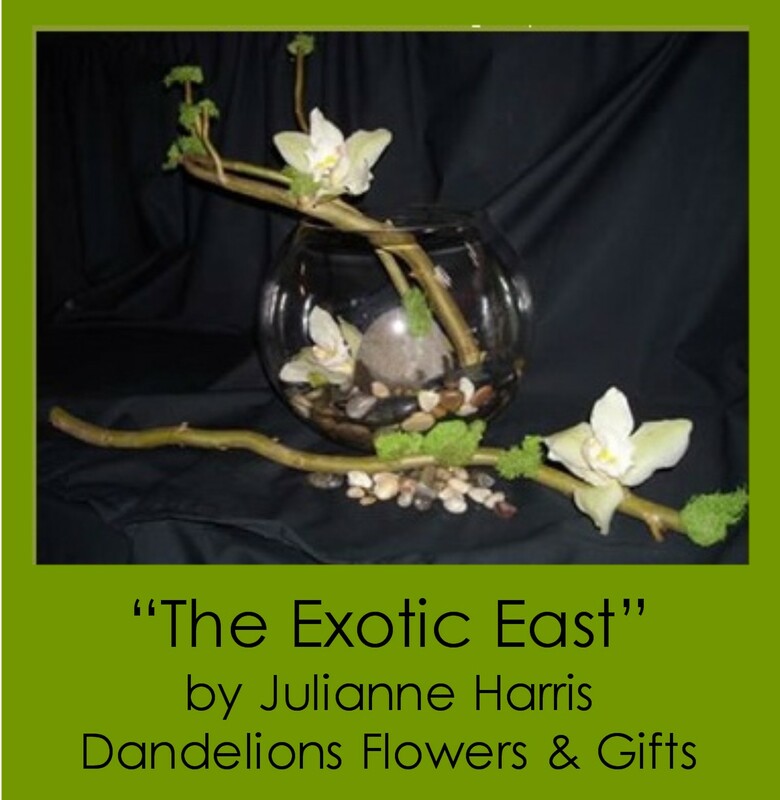 Use them in bouquets or centerpieces or take a sprig of the blossom for use in corsages & boutonnieres. To get glamour without going bling crazy, just add feathers. 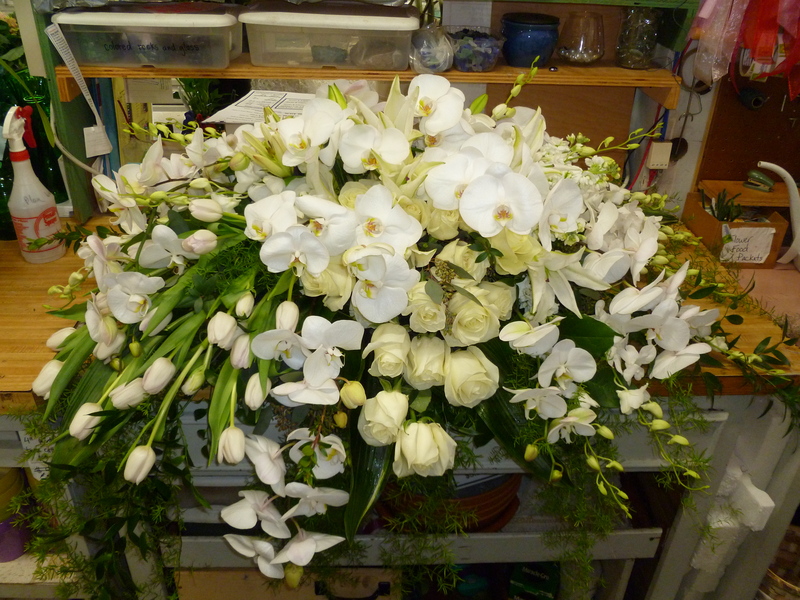 Blend white and gold ones into a romantic bouquet, or add black ones for a bigger statement. For something exotic, go with peacock feathers. We love a mix of textures. Blooms on the floor attract as much attention as ones on the tables. 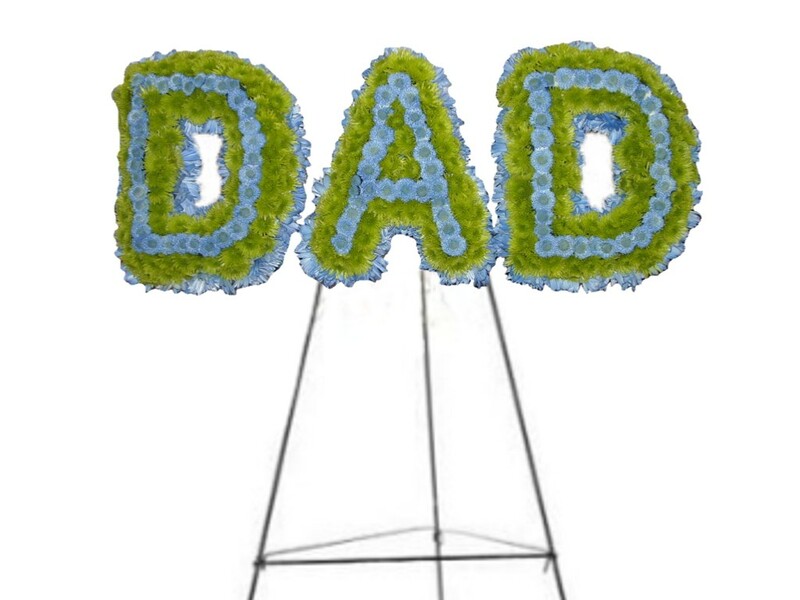 For a lawn ceremony, instead of hanging flowers from the chairs, create interest down the aisle with patterned petals. This is both cost-effective and something for your guests to talk about before you make your big entrance. A bouquet is still the most popular bridesmaid accessory. But brides are opening up to new ways of distinguishing their girls from the other guests, such as a single bloom, a dolled-up corsage or a trendy floral ring. Bring something blue into the bouquet, be it a bold bunch of blue delphinium or just a few hypericum berries painted turquoise. Mason jars dominate the vintage, homespun-style wedding scene (hey, they’re easy to find and collect). But jars of various shapes and sizes are showing up everywhere. We’re all about foliage in bouquets right now, and the cool thing about kale is that it looks like a regular flower. Pair it with blooms for a fun, organic look. The leaves are a great addition to any arrangement. Keep them au naturel or ask your florist to paint them a metallic color. Limes work well as an overall wedding motif or a nice floral accent. Drop them into a vase to make a base for an arrangement; slice them in half to stack them up. Or line your aisle with them. 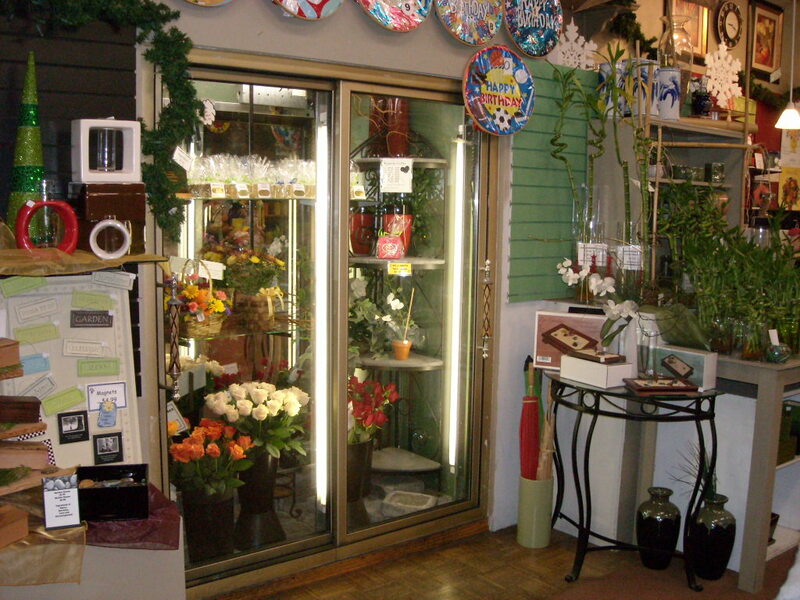 Using moss in your decor is a great way to keep costs down, add interest and create atmosphere. One of our brides this summer is placing moss orbs atop clear cylinder vases for her centerpieces. As much as we love flowers, we can’t help but admire bouquets of paper blossoms or even buttons or vintage brooches. They’re so cool! 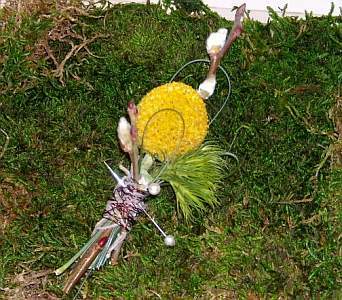 This fun pinwheel boutonniere can be found here. Drape flowers from the ceiling for a surprise wh en guests look up. Paper lanterns, step aside. We love seeing balls of moss and other floral arrangements suspended from a tent ceiling. 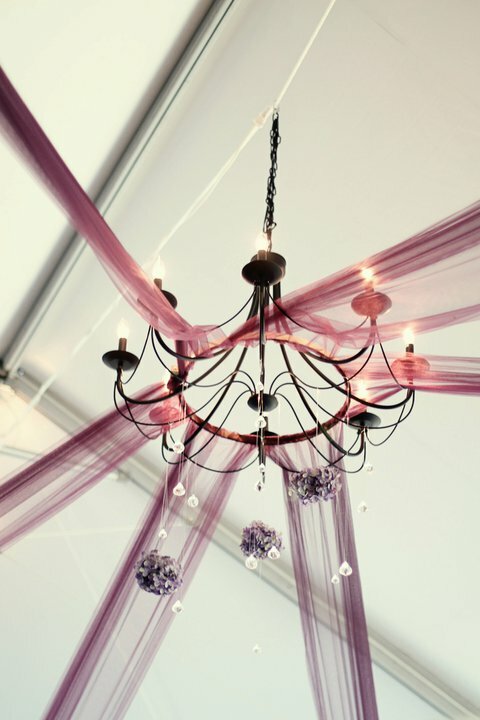 You can also decorate your venue’s chandeliers with flowers for a different look. Carnations artfully arranged in a graphic pattern inside a square box would make a mod, minimalist centerpiece at a loft wedding. Throw a wildflower or two in the mix and your bouquets go from stuffy to relaxed, country. Incorporate family heirloom pieces for a nostalgic feel. Modern and fun yet ultra-natural, succulents make a statement. 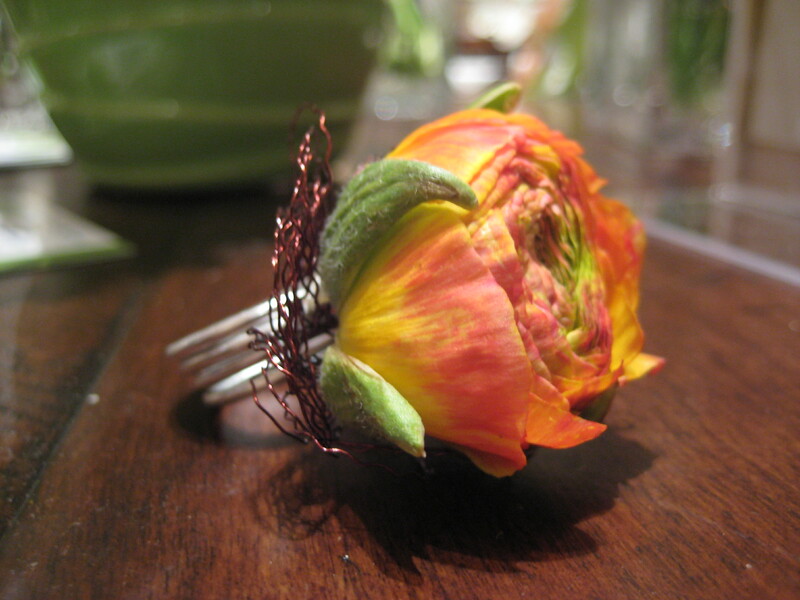 Plop a few mini ones in your bouquet, and go all out with full-size ones in your centerpieces. Or give them out as favors. 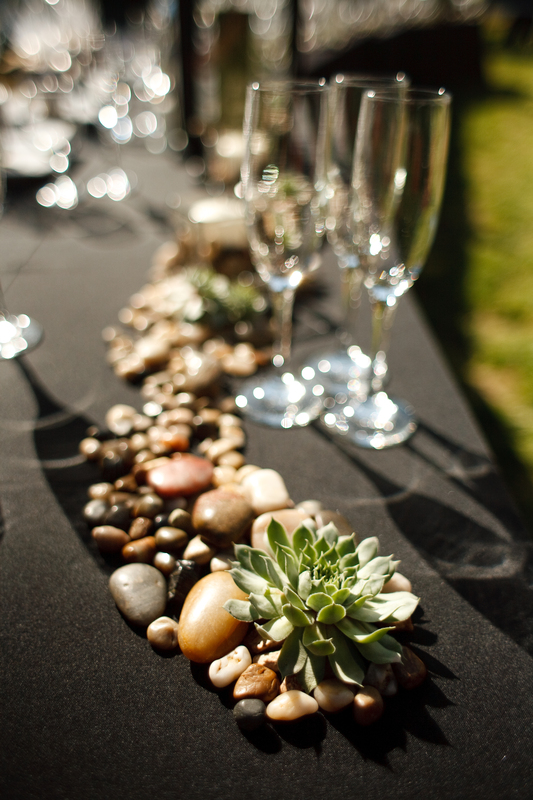 These succulents were placed atop pepples as table runners for a wedding last summer. 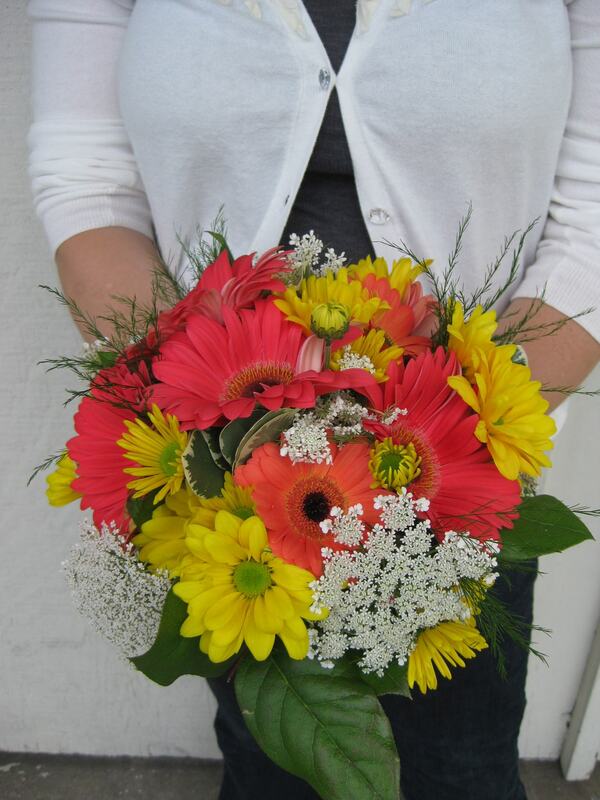 Since bold, bright colors are still very hot this year, why not choose flowers that match in intensity? 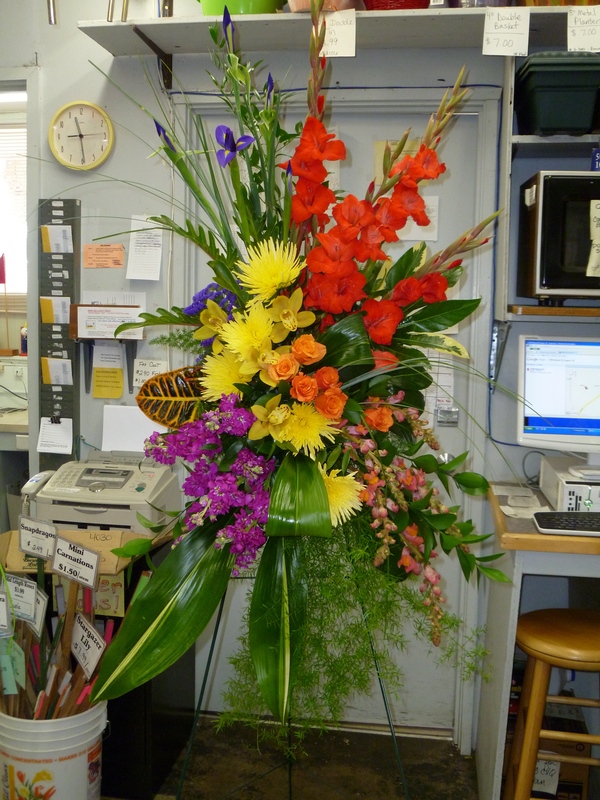 Birds of paradise, orchids, & protea are fun and tropical foliage makes everything look opulent. These purplish-brownish fern cools add drama to wherever they are placed. They give bouquets dimension and add a modern twist to boutonnieres. They aren’t typical in weddings so give your day something to set it apart. Artichokes are an easy choice, but radishes and squashes are also gaining in popularity. Whether you have a garden wedding or a tented affair in a field, veggies add an organic feel to the tables. Mixing and matching led the way to wildflower acceptance. Varied colors and textures with a natural, just-picked look; it’s all en vogue. Dinner-plate dahlias are seriously some of the prettiest things ever. They’re as big as a plate (or the size of your face). The best part? 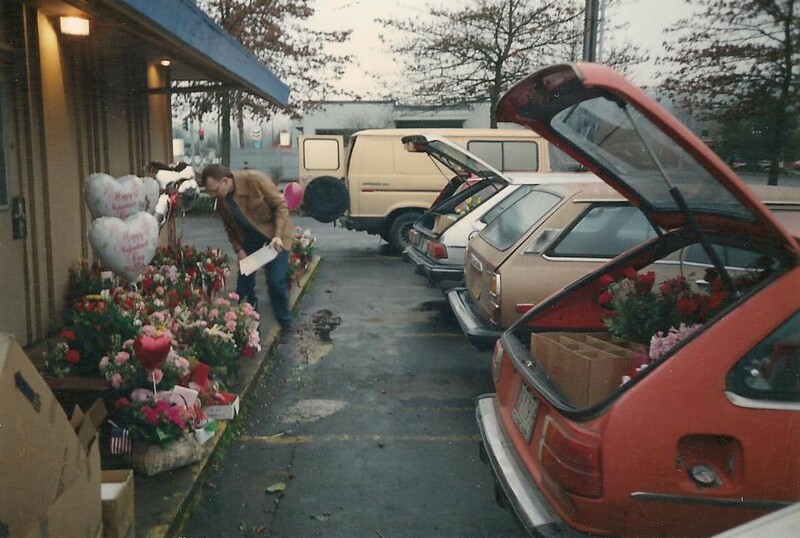 You really only need one or two per arrangement. This punchy color rocks it. Our favorite flowers in yellow: chrysanthemums, spider mums (can you tell we like mums?) 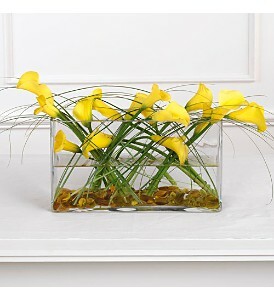 and calla lilies. Mix them with chocolate cosmos for a modern black and yellow combination. These summer flowers pack in lots of texture for little expense. Not only are we seeing them in floral arrangements, but they’re also popping up in fabric patterns and invitation designs. We are so honored every time we are involved in someones memorial service. Thank you to everyone who trusts us with such an important moment. We’re blessed to be involved in your lives. These are a few recent creations that we designed for families. Zodiac Sign: Born under the symbol of the sure-footed ram, the Aries, a fire sign, is confident and fierce (and can also be a bit egocentric and impulsive). Dynamic and full of contagious energy, those born under this zodiac sign are usually the ones who take the lead – quick to volunteer for adventure and preferring the road less traveled to previously charted territory. Birth Sign Flower: Match the Aries enthusiasm and zeal with flowers the color of passion (romantic or otherwise) – like an anything-but-demure red tulip flower bouquet. Dazzling and full of energy, it’ll appeal to their love of bold gestures and their appreciation for the slightly unexpected. Ferocious tiger lilies are also ideal for those in this fire sign, as are flowers from thorn-bearing trees & shrubs like roses. If you’re looking for a birthday gift for your Aries, daisies are a sure bet as they generously reflect the contagious enthusiasm Aries tend to generate. 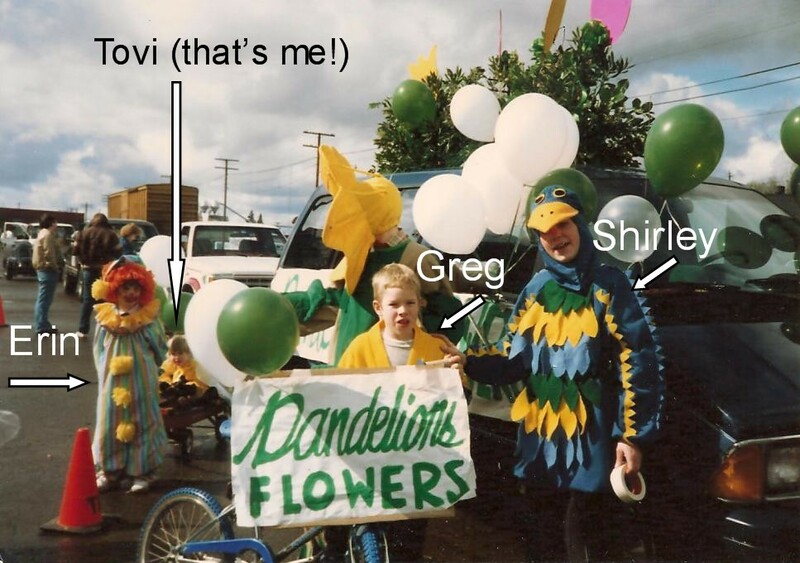 Yesterday the Oregon Ducks football team was named as the Grand Marshal of the 2011 Grand Floral Parade for this year’s Portland Rose Festival. 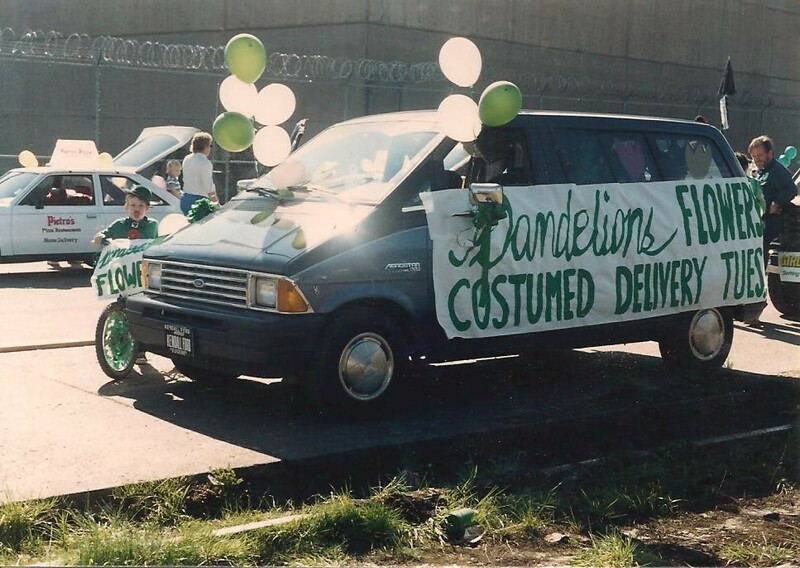 Dandelions created 2 large bouquets of roses (1 yellow, 1 red) to present to UO President Richard Lariviere and the Oregon Duck mascot as the announcement was made by Rose Festival Board members. 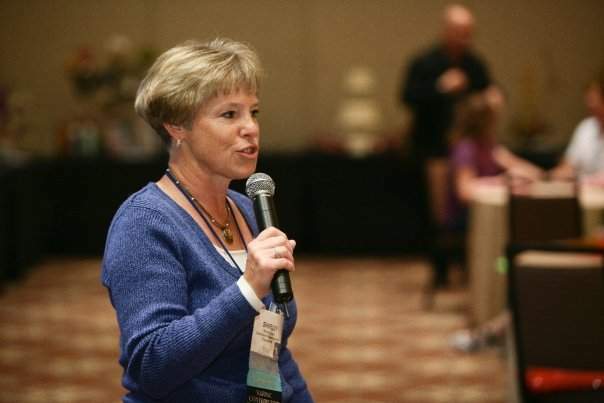 “Both our organizations have been working for a hundred years to bring positive recognition to Oregon,” 2011 Portland Rose Festival Foundation President Sue Bunday said. There will even be a special University of Oregon section of seating at the parade June 11. 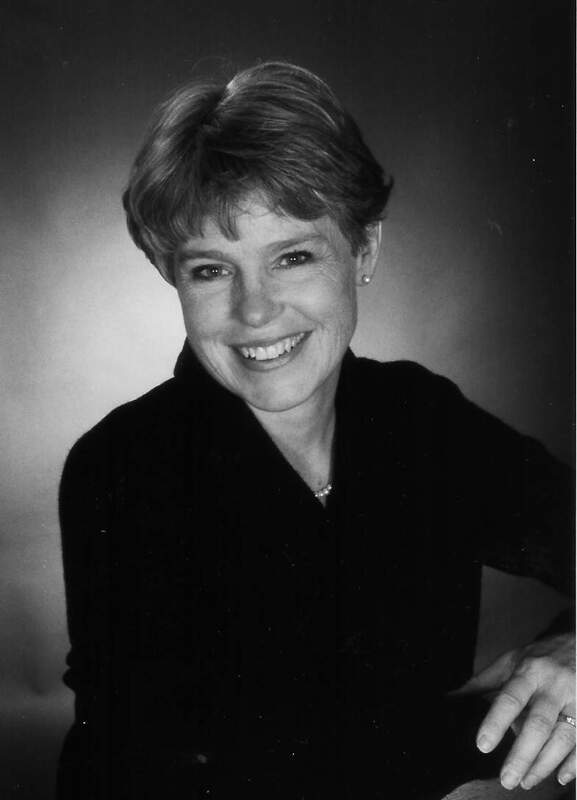 We are so proud to announce that Dandelions owner, Shirley Lyons, AAF has just been named president-elect for the Society of American Florists (SAF). 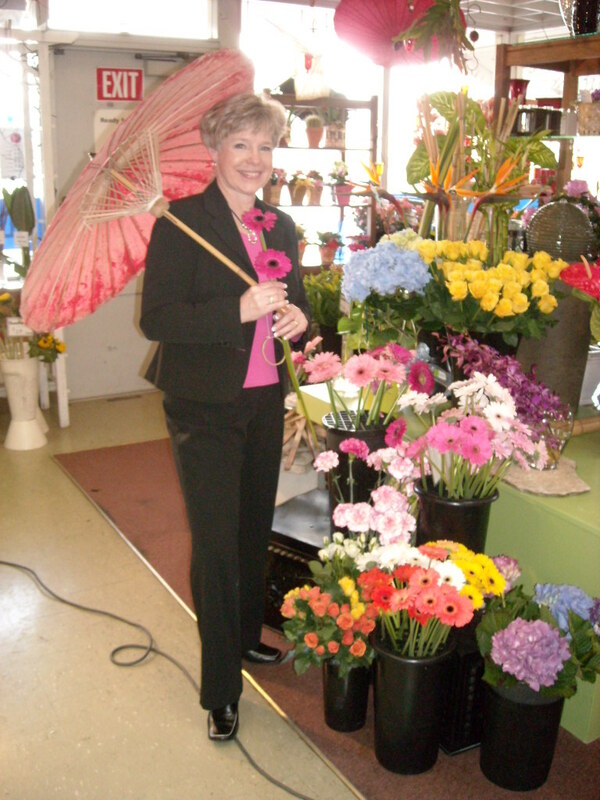 Shirley has been involved as an industry leader for over 20 years and involved with SAF for over 10 years (including participating in the floral designs of the 2005 Presidential Inauguration) . 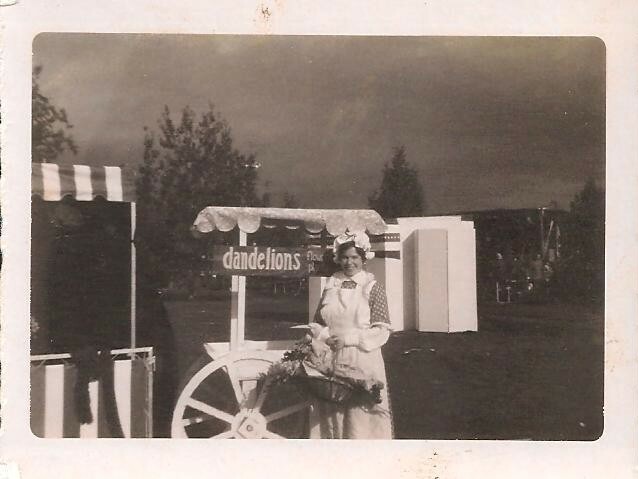 This is the first time in the 127 year history of the society that a woman has been chosen as president-elect and we know that Shirley will offer the leadership that she has shown in her 37 years as owner of Dandelions Flowers & Gifts. 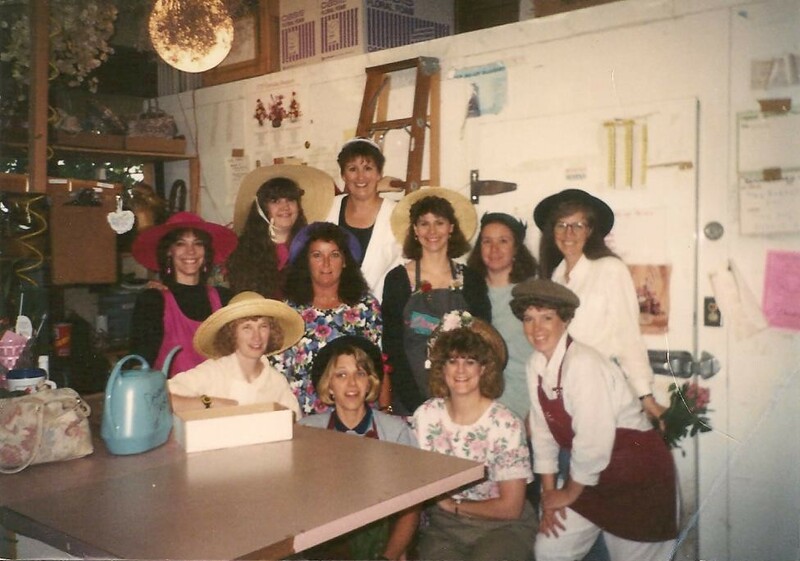 What is the Society of American Florists?? 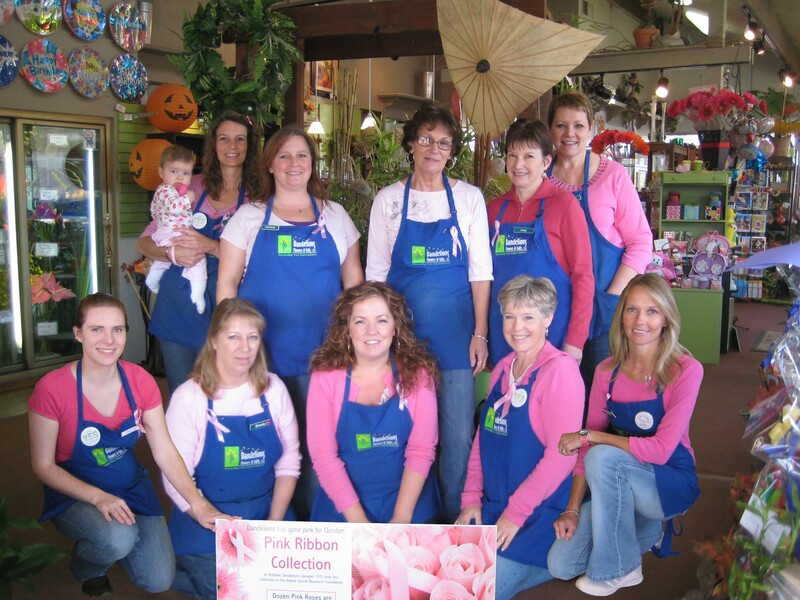 This is an organization that represents the ENTIRE floral industry in the United States from flower growers and wholesalers to retailers like us! 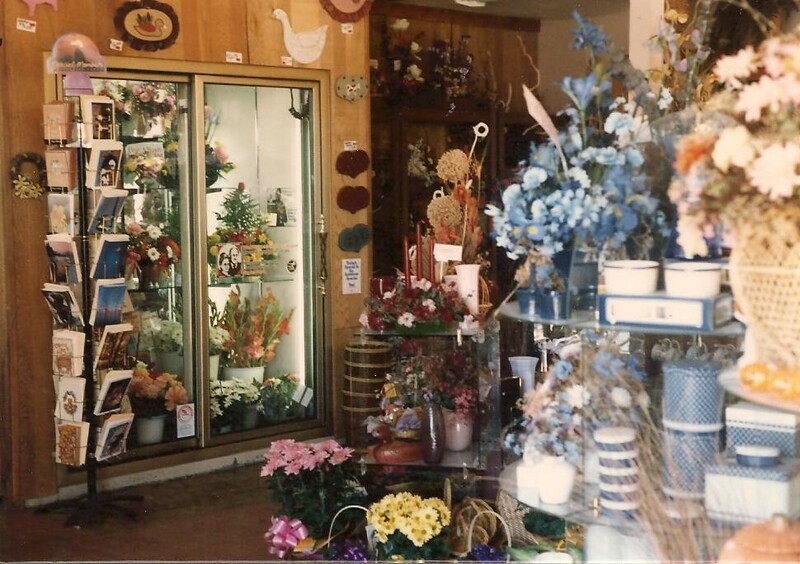 Actually chartered by an act of Congress in 1884 the Society of American Florists has grown to encompass hundreds of American businesses and farms. We’re looking forward to what the future holds as Shirley continues her work as a great business-woman both here in Eugene and on the national level. 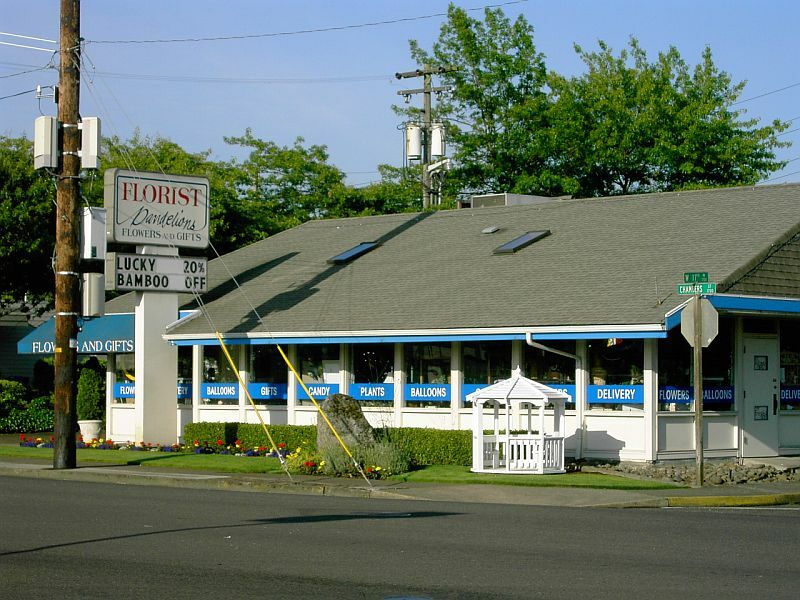 Did you know that Dandelions has been serving Eugene & Springfield since 1974?? 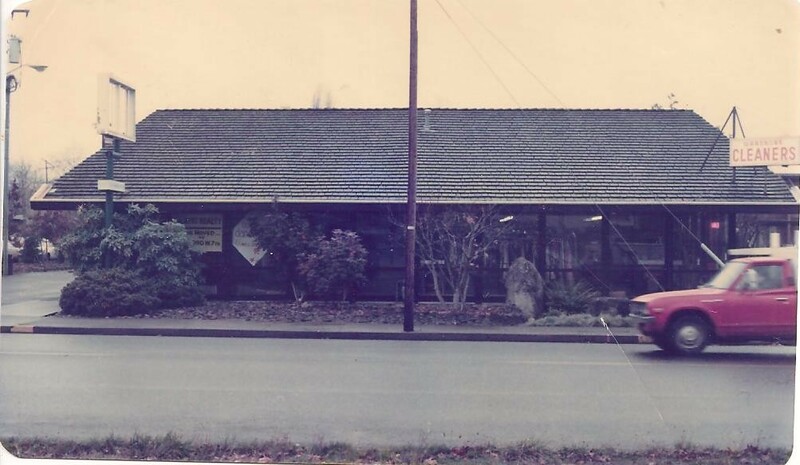 After 37 years, owner Shirley Lyons still has a personal relationship with her customers, has a staff that is like family, and continues to serve her community and industry. Ranunculus is finally in season and we are loving have fresh, local blossoms in-store to use in our arrangements and wedding bouquets. This petite bloom comes in almost every color and likens to a perfectly open sweetheart rose or peony. 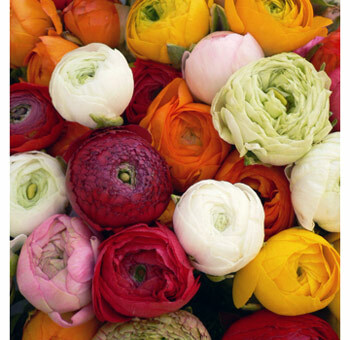 Tulips and daffodils are great spring blooms but ranunculus really embody an ethereal beauty. Don’t these look just like peonies! !